Introduce your little diner to family mealtimes with our Graco Duo Diner 3-in-1 highchair. The highchair that grows with your child from infant to toddler and converts to a space saving booster. It has a 5-position height adjustment that helps you position baby at the family table. 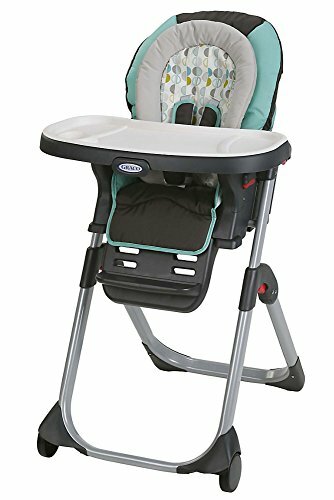 Its 3-position, one-hand adjustable reclining seat and infant head and body support help ensure baby's every meal is a comfortable one and its the highchair frame is designed to easily stow away when you're using booster mode.